Textbook: The Enjoyment of Music 10th Edition. Joseph Machlis and Kristine Forney. 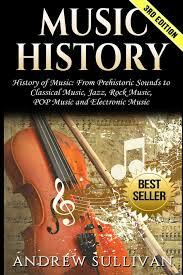 This book is not required but the Norton Music Website may be useful. Music History Essay Questions (Approximately 300 words per response for Questions.) Please answer these questions using your own words. Please cite the textbook or any other sources in your answers. (Textbook not required.) Please do not use lengthy quotes, quote whole passages, several consecutive sentences or entire paragraphs – even if you use quotation marks, from any sources. You are allowed to quote the textbook or any other sources as long as you use quotation marks, and as long as you do it sparingly. Please do not use Wikipedia. Your answers should be concise, but with as much information as you feel is relevant to fully explain your answer. Each answer should approximately 300 words. Briefly explain when, how and why Monody evolved, and identify the important individuals responsible for this new style, and their contributions. Describe the various components of the Baroque opera, commenting on the functions of each to the drama. Compare the lives and the compositions of Bach and Handel. Who was the more international composer and why? For what audiences did each compose? Compare general style characteristics of the Baroque and Classical periods, and cite at least two pieces from your listening that you feel are excellent representations of each style, and why. Please answer these questions using your own words. Please cite the textbook or any other sources in your answers. Please do not use lengthy quotes, quote whole passages, several consecutive sentences or entire paragraphs – even if you use quotation marks, from any sources. You are allowed to quote the textbook or any other sources as long as you use quotation marks, and as long as you do it sparingly. Please do not use Wikipedia. Aerosmith I Don’t Want to Miss a Thing - Aerosmith I Don’t Want to Miss a Thing research paper examines a song by Aerosmith that was put in the soundtrack of the box office smash Armageddon. Beethoven - Beethoven Term Paper delves into the life of one of the most famous composers in history. Bernard Herrmann - Bernard Herrmann Research Paper delves into the life of this musical legacy spans a number of musical genres and venues including orchestration, radio, and film. Bob Marley - Bob Marley Term Paper looks at this reggae’s rhythms and the impact upon world of music. Gus Giordano - Gus Giordano Research Paper looks at his history in jazz dance, and his beginnings in the art of ballet. Haydn - Haydn Term Paper looks at one of the important composers of the eighteenth century. James Brown - James Brown Research Paper explores one of the most dynamic performers in American music history. Jerry Bergonzi - Jerry Bergonzi Term Paper delves into the life of this jazz musician, and composer. Jim Morrison and The Doors - Jim Morrison and The Doors Term Paper delves into a band from the 1960′s, and songs on their first album. Johann Sebastian Bach - Johann Sebastian Bach Research Paper looks at the life of this composer and influences and experiences that helped shape him. Madonna - Madonna Research Paper discusses a pop idols life and her starring role in Desperately Seeking Susan. Marilyn Manson - Marilyn Manson Research Paper delves into the childhood and life of this singer and his introduction to drugs and Satanism. Michael Jackson Biography - Michael Jackson Biography Research Paper examines the life of one the worlds most famous musicians. Misogyny and the Emcee - Answers 8 major questions about the book Misogyny and the Emcee. Music Appreciation - Research papers on Music Appreciation examine the focus on the intricacies of a given piece of music, paying attention to such factors as melody, rhythm, instrumentation, and performance. Pearl Bailey - Pearl Bailey Research Paper explores the life of this African American performer, and autobiographies written by her. Peter Tchaikovsky - Research papers on Peter Tchaikovsky examine the life of Russian composer Pyotr Ilyich Tchaikovsky who is well known for creating the most iconic symphonies in musical history. Rap Artists - Research papers on Rap artists examine their history and how these rap artists have taken on a variety of forms based on the culture and society in which they have expressed their art. Robert Shaw - Robert Shaw Research Paper discusses a musical legend with his choral conducting. Sarah Vaughan - Sarah Vaughan Research Paper explores the life of this musical legend. Tupac Amaru Shakur - Tupac Amaru Shakur Research Paper looks at the life of this rapper, his music, poetry, and death. The Two Versions of Gigue - Analyzes the two versions of Gigue by Ennemond Gaultier and Jean-Henri D’Anglebert. The Wall: A Complete Analysis - The Wall: A Complete Analysis Research Paper looks at a book by Bret Urick that dissects Pink Floyd’s album The Wall. Wolfgang Amadeus Mozart - Wolfgang Amadeus Mozart research papers are custom written art essays that focus on the famous pianist. Paper Masters writes custom research papers on Music History and looks at the baroque and classical period.